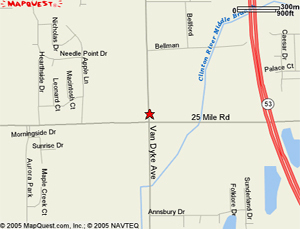 We are located on the West side of VanDyke Ave, just North of 25 Mile Rd. in Shelby Township Michigan. Our office hours are 9AM - 5PM, Monday - Friday.